What do you do when you have a mango approaching over-ripeness and a half a can of coconut milk? I don’t know about you, but I turn it into rice pudding! Mango and coconut are a perfect flavor match. 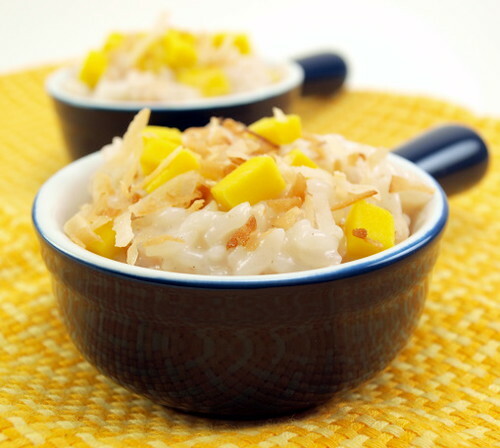 I love, for example, chunks of ripe mango with some toasted coconut scattered over the top. 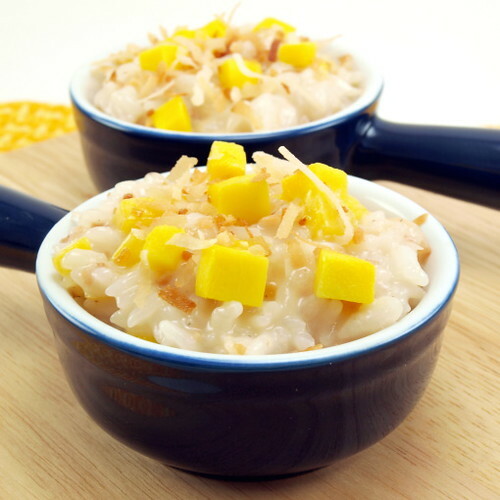 For a while I considered making a coconut pudding with mango chunks in it, but that seemed sort of boring. That is when I considered a rice pudding. With the body from the rice, the chunks of ripe mango, and some crunchy toasted coconut I knew I had a winner. This is a very creamy, very rich dessert that has the right balance of tangy fruit, toasty coconut, and subtle sweetness. That said, please make sure you use a ripe mango. Since you are adding it after the cooking is over it will not soften much from the residual heat, so a hard, sour mango will be a disappointment. You can omit the toasted coconut if you prefer. Feel free to add more mango and 1/4 teaspoon of coconut extract to punch up the coconut flavor. 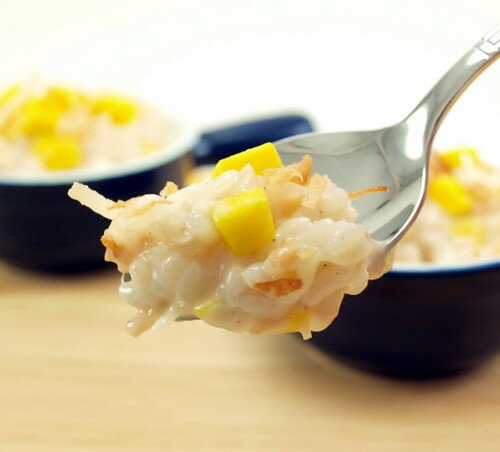 I prefer a thick, creamy rice pudding, but if you like it a bit thinner you can add four more ounces of both milk and coconut milk, and an extra two tablespoons of sugar. This is a great recipe to play with, or to enjoy just they way I did. 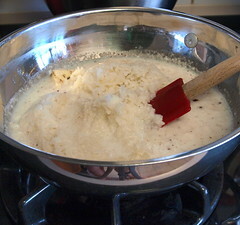 In a large sauce pan combine the coconut milk, milk, sugar, butter, spices, and vanilla. Add the cooked rice and stir to combine. 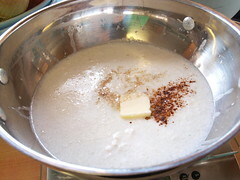 Cook the mixture over medium heat until it reaches a boil. 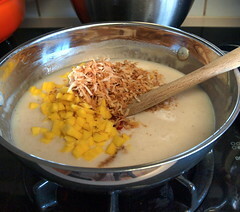 Boil for one minute then turn off the heat and fold in the diced mango and toasted coconut. 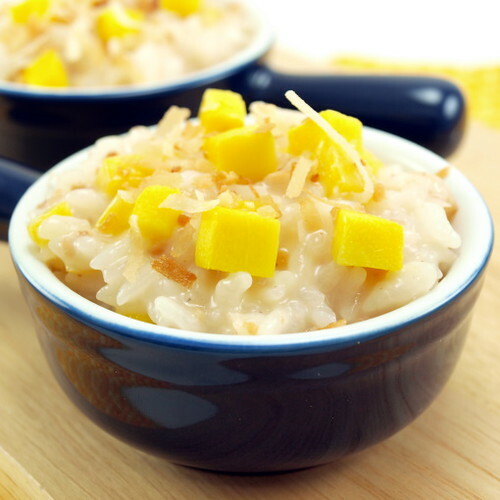 Divide into the serving dishes and garnish with mango and coconut.